David Stern has Rigged hundreds of games in his 24 years in office. The three that we rank as the most important are Game 7 of the 2000 Western Conference Finals , Game 6 of the 2002 Western Conference Finals and game 5 of the 2006 NBA Finals. These are by far the most notorious rigged games in recent memory. Portland won 59 games during the regular season. The Trail Blazers were big, skilled & athletic. They were young & old. Sabonis, Pippen, Schrempf were a little past their prime, But Wallace, Stoudmire, O'Neal & Wells were young. They had a starting 5 of 7'3" Arydas Sabonis, 6"10" Rasheed Wallace, 6'9" Scottie Pippen, 6'8" Steve Smith, 6'3"Damon Stoudmire. Their bench consisted of Brian Grant ( a real hustler on the boards) Bonzi Wells, Jermaine O'Neal ( came in out of high school ) Detlef Schrempf, Greg Anthony & Stacey Augman. In the deciding game of the Western Conference Championships June 4 in The Staples Center. With the series tied at three wins each, the Trail Blazers were leading the host Lakers, 73-58, early in the fourth quarter then were outscored, 31-11 in the last 11 minutes and lost, 89-85. The Trail Blazers took 16 FTA the Lakers took 37 FTA . The Trail Blazers top defensive players Arydas Sabonis & Scottie Pippen both fouled out. In the fourth quarter every call was in favor of the Lakers. Both of Sabonis 5th & 6th fouls were terrible calls, both came on blocking calls. When Portland lost Sabonis they had to go to Brian Grant, who at 6'8" was too small to play key minutes at center against Shaq. 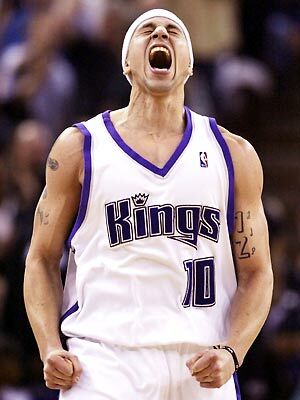 Sacramento won 61 games during the regular season. They had a starting 5 of Chris Webber, Mike Bibby, Doug Chritie, Pega Stojakovic, Vlade Divac. There Bench was Bobby Jackson, Hedo Turkoglu, Scott Pollard & Lawrence Funderburke. The Kings were a high octane offence that like to run & gun. In all the Lakers took 27 foul shots in the fourth quarter. With Sacramento up 3 games to 2 this rigged game prevented them from advancing to the NBA Finals. For the game the Lakers took 15 more FTA both Scott Pollard & Vlade Divac both fouled out on plays where they did not even touch the Laker player. 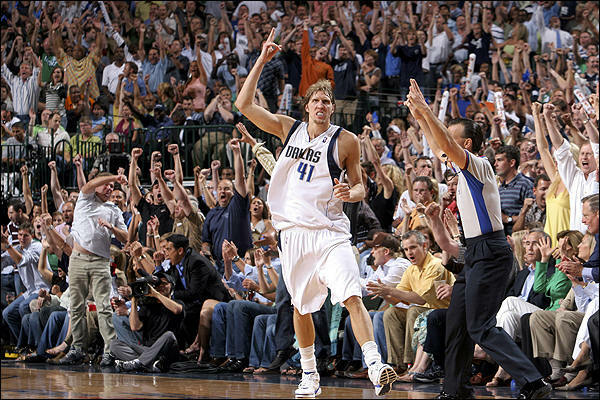 The Dallas Mavericks 2005-2006 season was indisputably the greatest in NBA history. Nowitzki again topping the 2,000 point mark while setting career-highs in scoring (26.6 ppg), field goal percentage (48.0%), 3-point field goal percentage (40.6%), and free throw percentage (90.1%). Joining Nowitzki on Dallas's starting 5 were Jason Terry, Devin Harris, Josh Howard & Desagana Diop. 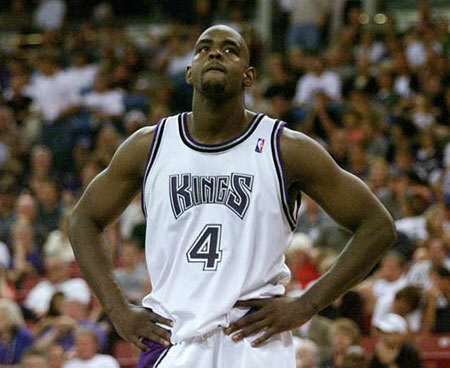 Coming off the bench was Erick Dampeir, Jerry Stackhouse & Adrian Griffin. David Stern decided that game 5 would be his chance to pay back all his sponsors. Dywane Wade who was a spokes person for Converse, Gatorade, T-mobile cell phones, Lincoln cars & whose Jersey is in the top 3 in sales was the benefactor . In total Wade went to the foul line 25 xs, There were 5 separate fouls on Wade in which he was never touched. The internet bloggers refer to them as the Phantom Fouls. Miami as a team went to the line 49 xs to Dallas 25 xs. Dallas finished with 6 more field goals 11 more rebounds & lost the game by one. Both of Dallas low post defenders were in foul trouble Diop fouled out Dampier finished with 5 fouls.